Midwestern rockers Pony Creek indulge in the outlaw fantasy on their freewheeling “Pott County,” a guitar-slinging outburst of raw renegade verve. The outlaw has always had a certain fantastical allure; a larger-than-life mystique shrouded in temptation and freedom. Everyone, at some point in their lives, contemplates the bad-boy/bad-girl renegade lifestyle – the aesthetic and appeal are hard to ignore, to say the least. Yet for the vast majority of us law-abiding, do-gooder citizens, the outlaw remains a distant dream: One we’d rather enjoy in the safety and sanctity of our minds. Midwestern rockers Pony Creek indulge in the outlaw fantasy on their freewheeling “Pott County,” a guitar-slinging outburst of raw renegade verve. Atwood Magazine is proud to be premiering the music video for “Pott County,” the title track off Pony Creek’s brand new sophomore album Pott County (released 9/21/2018). 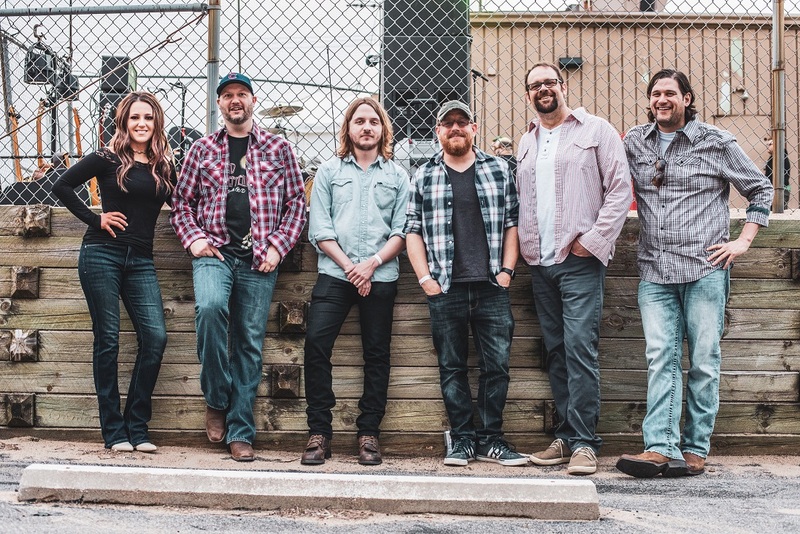 Hailing from Omaha, Nebraska, Pony Creek formed in Spring 2016 as the collaboration between Ryan Osbahr and Billie Frost; its current full band lineup includes Eric Nelson (guitar), Travis Goddard (guitar, banjo, mandolin), George Cooper (bass), and Tim Blair (drums). “‘Pott County’ is a coming-of-age song about escaping small town America as a youth, only to always know a return to your roots is inevitable,” Pony Creek tell Atwood Magazine. “Many kids spend half of their lives running away from their upbringing only to realize much later that it has been the core of their entire belief system. “Pott County” encompasses what so many people eventually realize only after venturing out on their own and having their own life experiences.” You can run and make yourself an outlaw, but the only person you’re running from, at the end of the day, is yourself. Directed by Aaron Gum, the “Pott County” music video offers a fun take on the music’s fierce spirit while providing up-close visuals on the band leaders Ryan Osbahr and Billie Frost. A middle-aged man and his wife are stopped by a police officer for speeding in their Chevrolet sedan. After quickly glancing at each other, the pair take off – this time as Osbahr and Frost, in a sporty Chevelle – and race away from the police officer. Thus begins a car chase. “Pott County” is an energizing rock experience through and through. The video cuts between scenes from the car chase and shots of the band rocking out in a corn field – which is perhaps the most Midwestern thing they could have done on video, and looks absolutely spectacular. As the visual for a song about both evading and embracing your roots, “Pott County” grabs ahold of pure rock passion and rides that dynamic, gritty wave from start to finish. 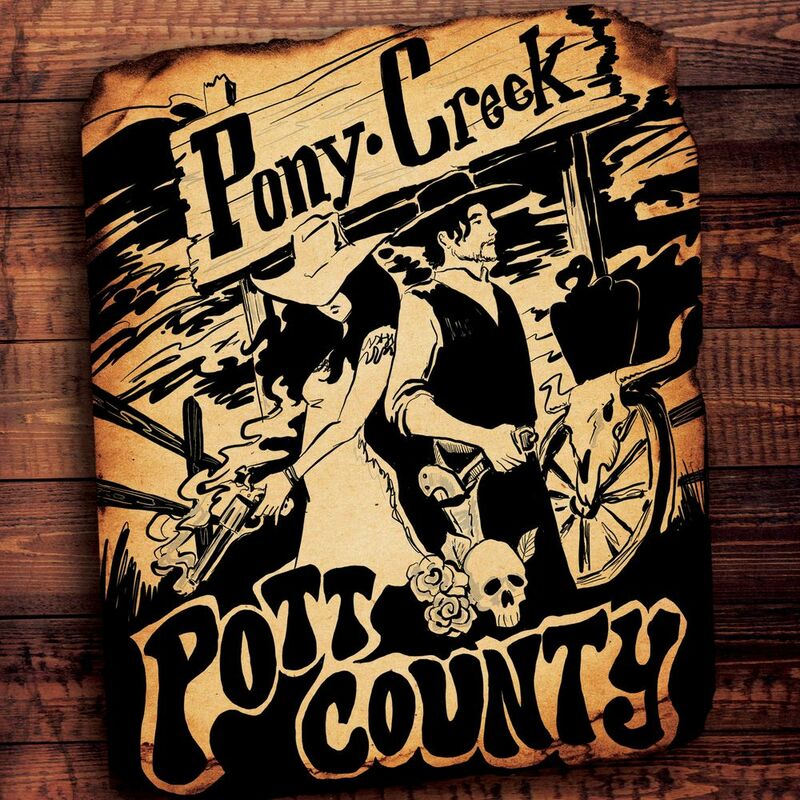 It’s the perfect introduction to Pony Creek, and a great way to ease into their new album, Pott County, out now!